Art director John Thompson’s use of illustrators and illustration is so perfect, and here is a grand example! 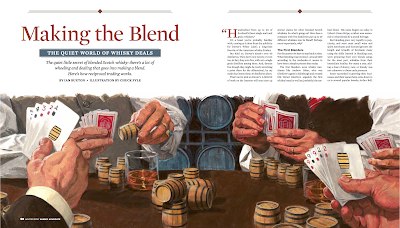 The article was on 'Reciprocity' -a practice in the distillers world of trading blended stocks of spirits. 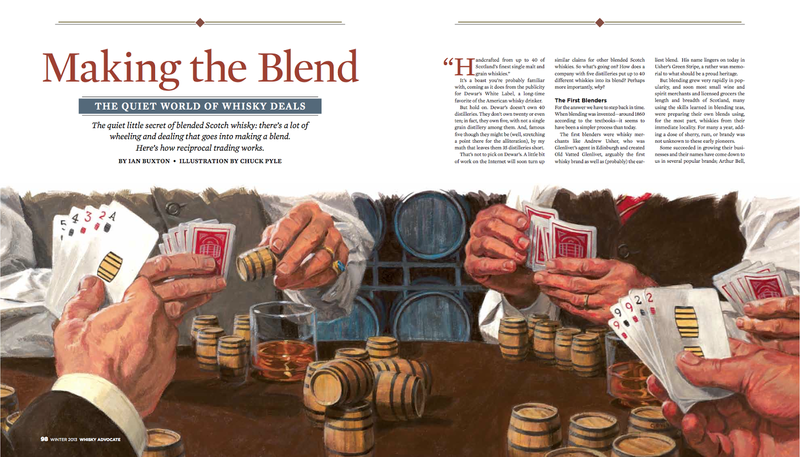 The assignment John gave to Chuck was "hands playing cards with whisky barrels on the cards, and some sense of a distillery barrel in the background..now go run with it". After some careful research on the subject, and product testing, Chuck changed poker chips out for whiskey barrels, John agreed and painting was done- painted with acrylic on board.